Simply deleting or otherwise removing files from your virtual machine’s drive does not allow the VHD to be shrunk. You must “Zero Out” the unused sectors so Hyper-V can reclaim the space. That is it! Your done! 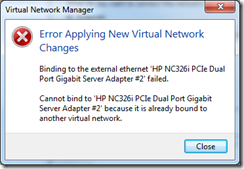 This entry was posted in Hyper-V on January 16, 2014 by ArmgaSys. 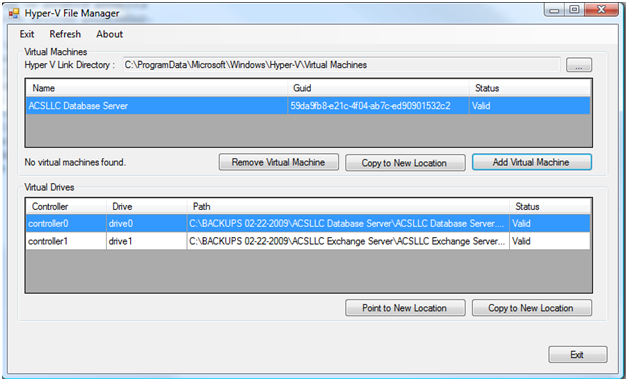 Windows 2008 R2 Hyper-V server is an incredible tool in the IT pro’s test, backup, and recovery arsenal…. as long as everything meshes together nicely. 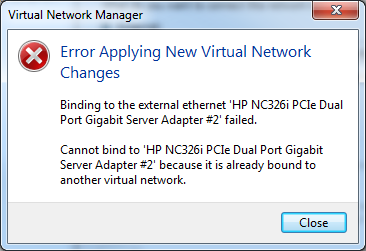 Binding to the external ethernet [NIC goes here] failed. Cannot bind to [NIC goes here] because it is already bound to another virtual network. These two commands will 1st uninstall the virtual switch protocols and then force a reinstall of the same protocols. This simple two step process forces the invalid virtual network mapping to be cleared from the configuration. This entry was posted in Hyper-V on March 21, 2011 by ArmgaSys.